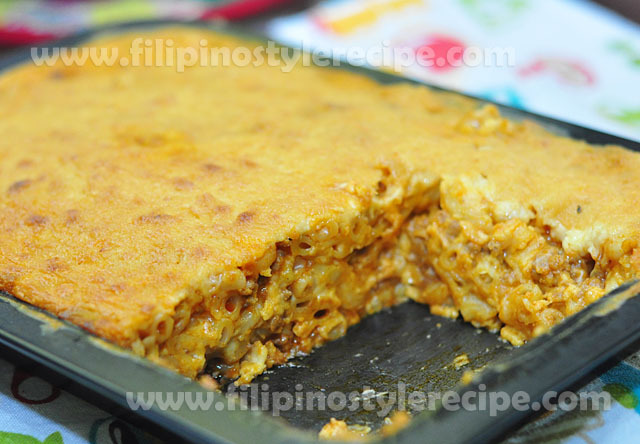 Filipino Style Recipe: Baked macaroni is one of the popular pasta dish that is commonly serve in any occasions. 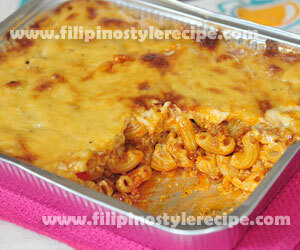 This dish is consists of macaroni pasta mixed together with meat sauce then topped with creamy white cheese. 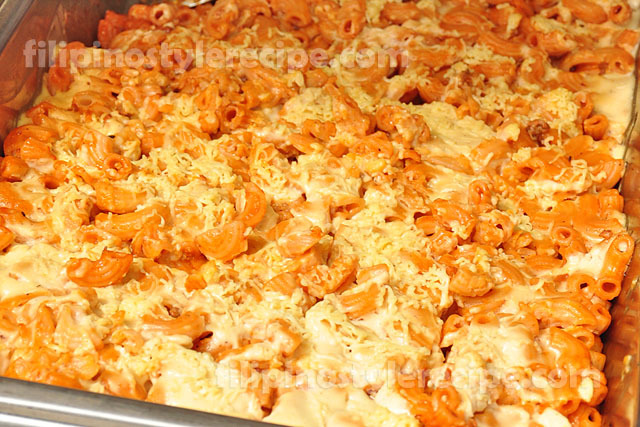 Baked until the topped cheese starts to light brown. 2. Pour cheese mixture on top then spread evenly and make sure to secure the edges. 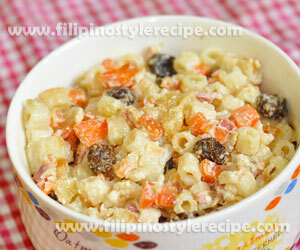 Filipino Style Recipe: salmon macaroni salad recipe is usually made with shredded salmon, macaroni noodles, mayonnaise, mustard, salt and pepper. This is usually served as appetizer. 1. Cook macaroni noodles according to package cooking instructions. 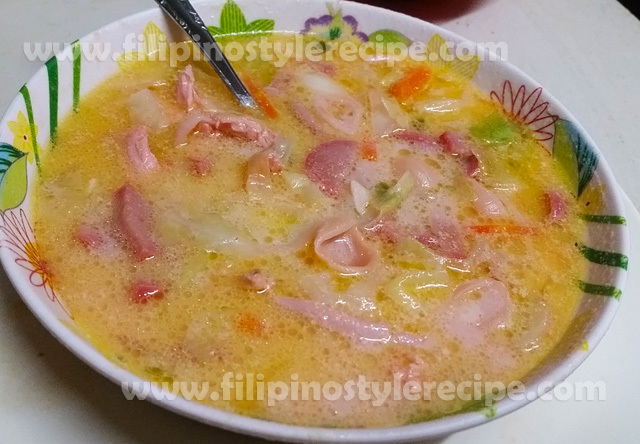 1.In a large bowl, add salmon and the rest of the ingredients. 2. Add macaroni and ground pepper. Mix well. 3. 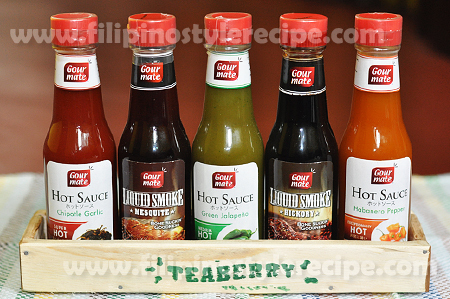 Adjust seasoning according to taste. Garnish with parsley. 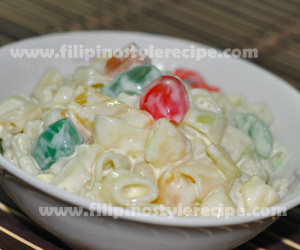 Filipino Style Recipe: macaroni salad recipe is usually made with macaroni noodles, mayonnaise, condensed milk and all-purpose cream. 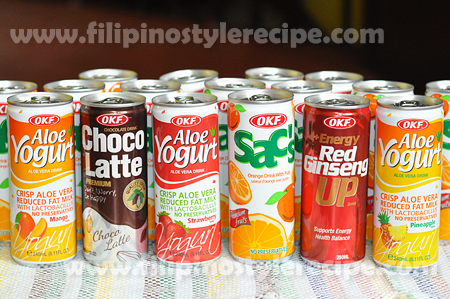 Add with fruit cocktail, raisins, kaong, nata de coco and cheese make the recipe more delicious. This is usually served as appetizer. 1. Cook macaroni noodles according to package cooking instructions. 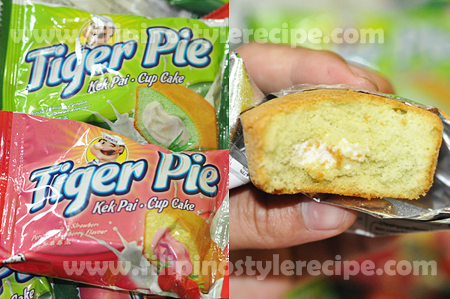 Set aside and let it cool down for about 15 minutes. 1. In a large mixing bowl, transfer the macaroni and add the rest of the ingredients. Mix well. 2. Cover the mixing bowl and refrigerate for at least an hour.